This week our what to “What to Wear Wednesday” takes a different turn. I found out last night (from an awesome and talented member of The Prepared Performer Team) that my family would be working on the set of a new movie musical that is filming on Friday. 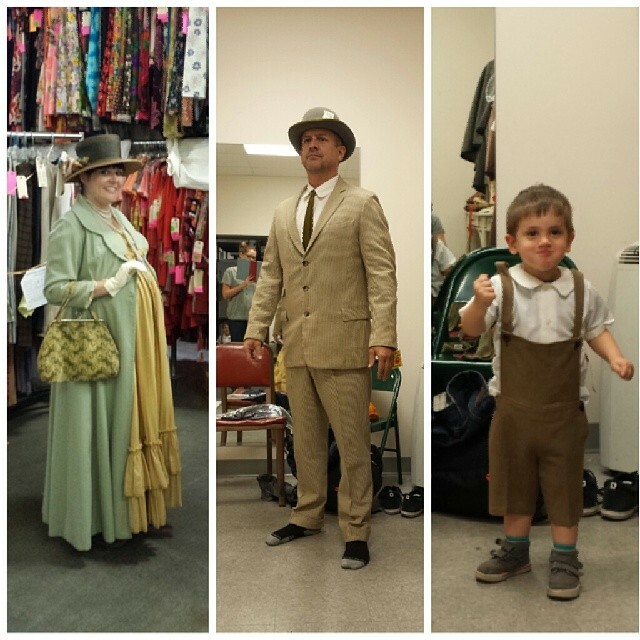 Today, we all went to North Hollywood for a costume fitting! So much fun! I'll keep the details hush hush for now, and fill you in on it all later but let's just say we are so excited to be apart of the fun! They are still looking for super talented and focused young performers. Sign up for our mailing list if you are interested in submitting your headshot and resume. We'll be sending out info soon. What do you think of these costumes? It was a little hard to find one that fit over my growing belly bump, but they did it! And, Frankie is obsessed with hats, but his head is suddenly so huge! Hoping we find one that fits to go with his amazing little romper.